The AMMCO® 4000E Combination Disc and Drum Brake Lathe is the ultimate in finish control, right at your fingertips, from the leader in brake service. That's right, welcome to the age of digital refinishing.The AMMCO® 4000E is easily adaptable to any rotor or drum material available today or tomorrow. 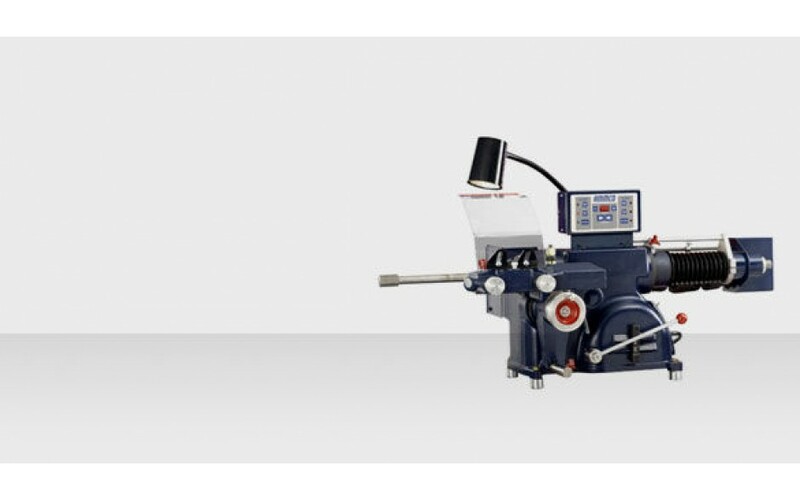 By digitally controlling the feed rates, it’s easier to find that sweet spot for your particular application that gives you the highest possible quality finish available. Integrated positive rake tool bits allow for precision turning, with reduced chatter to produce superior machined surfaces every time. The 4000E is engineered to handle light truck and SUV applications. In fact, the one-inch, heat forged arbor allows you to machine those larger, heavier jobs up to 200 lb.! And with the optional “F” adapter kit, the range of heavier and splined rotor assemblies you can machine is very wide. So now you can service an increased volume of heavier work, and virtually any other application that rolls in. 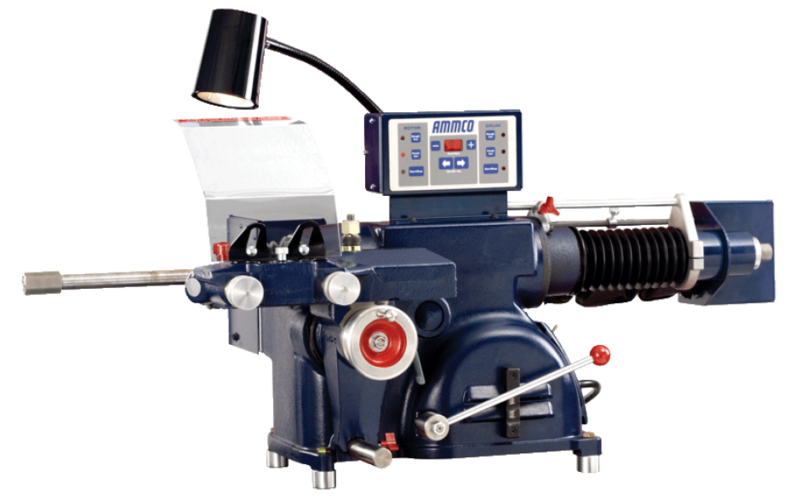 All AMMCO® brake lathes are precision tools that cut to one-thousandth of an inch tolerances. With today’s more sensitive vehicles, this helps ensure customers get smooth braking and complete satisfaction. Forged alloy steel arbor – Two tapered mounting surfaces add stability and handle up to 200 lb.